The Lakers’ Kobe Bryant before a game Tuesday against the 76ers in Philadelphia, where the crowd stood and chanted his name. PHILADELPHIA — Kobe Bryant was feeling nostalgic Monday night, so he drove around and visited some of his favorite childhood haunts, including the playgrounds where he honed his game. He recalled how he went scoreless one summer in the Sonny Hill League. He was 11 years old. 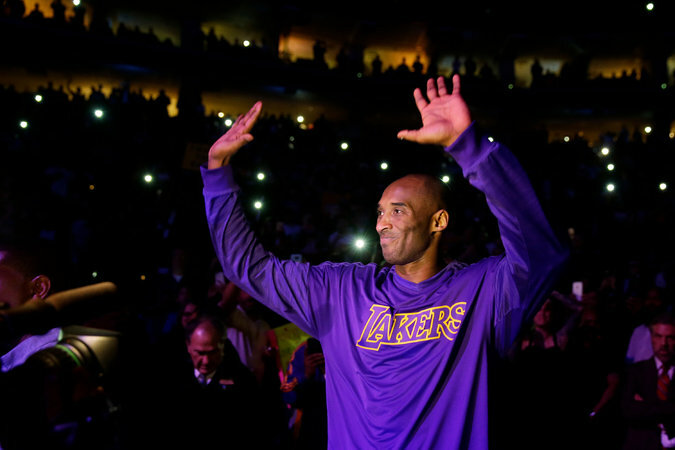 Bryant, 37, has seldom lacked motivation as a star with the Los Angeles Lakers, and that remains the case. His public reckoning with age and injury has been playing out at arenas across the country this season. On Tuesday, it was Philadelphia’s turn to witness the spectacle of Bryant coping with the hard realities of his trade.